For Mike Delaney's Lab Consulting page...go here. 2019: Roslindale Open Mike (ROM) is going strong. Details on all things ROM, including the list of 2019 features, are at www.roslindaleopenmike.org. You can see a bunch of my videos at http://www.youtube.com/folkmikedelaney. Change Can’t Wait (with Ayanna Pressley). https://youtu.be/Nlc4q0vbl18 I had the pleasure of hearing new Congresswoman Ayanna Pressley at the Edward M. Kennedy Institute in December. Here's a link to the video. I gave her a copy of the video of the performance of this song at ROM. I'm calling it a co-write with Ayanna, because I used her words for most of the song. 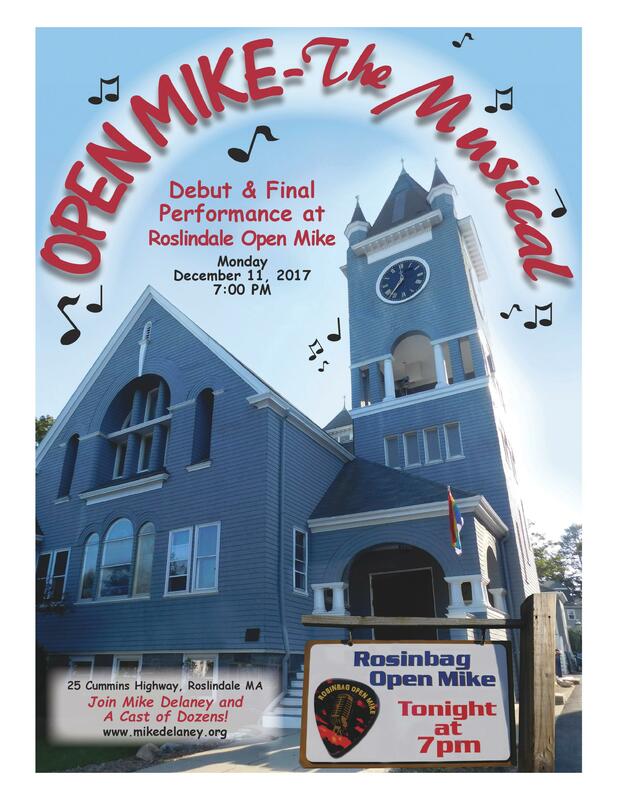 This is a video of the performance of "OPEN MIKE – The Musical" at Roslindale Open Mike (ROM) on 12/11/18. There are 18 songs and 3 poems by me, performed by ROM Regulars, plus "Mandolaney" by Barry Spiro, a parody "On and On" by Charlie Ortolani, "There's a Light on the Hill" by Mel Green, and a medley of holiday songs by Neal Braverman as "The Jewish Elf". You can check out all the songs and info on my OMTM page using the link at the left or http://www.mikedelaney.org/omtm.html. You can download the official poster here (thanks, Sue Petersen). Here are some more videos, starting with "Drone Force Song", a parody of "Wild Blue Yonder". Next is "Friends", written for Joan, my wife of 45 years. Finally, a new video of "The Hunk", my autobiographical favorite. Hear are live recordings of "I Remember Blue", "Back in the Day of Whitey", "Colonoscopy", "Half of My Brain", and "Proud to be a ROMulin" for all the ROMulines at Roslindale Open Mike (ROM). 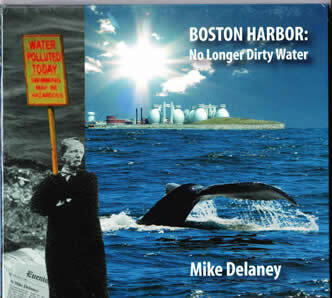 My CD: "Boston Harbor: No Longer Dirty Water", is here! You can see a video of the whole CD release party performance here, or search YouTube for Folkmikedelaney. Or you can buy a CD direct from me using the Buy Now button below. $10 and free shipping. It's also on CD Baby, iTunes, Spotify, etc. Boston Harbor: No Longer Dirty Water. “Mike Delaney…embodies the whole spirit of our community of folk musicians in Massachusetts… Everybody loves him.” — Marilyn Rae Beyer, former host and music director on Boston Folk Radio, WUMB 91.9 FM. "Mike Delaney's new album, Evening News, is right up there with the best in the tradition of folk music as a vehicle for protest and information. A modern-day troubadour with a great feel for good lyrics!" --Penny Nichols, singer, composer, producer and educator. "Mike is a solid songwriter who takes the stage with comfort, warmth, humanity, and ease"--David Roth, (ww.davidrothmusic.com). "This is the most important song ever written!" --Maura Kennedy, speaking of "I Wanna Be Maura Kennedy" as she invited Mike to play this song in her solo set at a recent concert of The Kennedys (www.kennedysmusic.com). 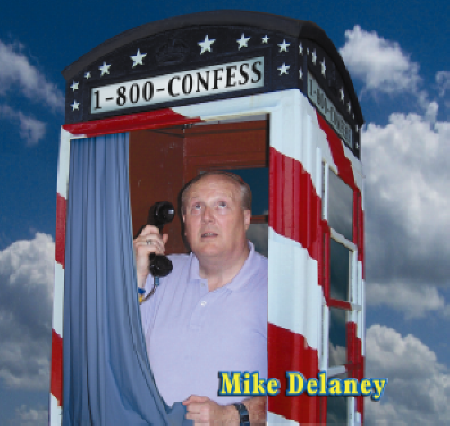 "Mike Delaney is a great friend to many, a creative singer/songwriter and a marvelous performer. I am a huge fan of Pete & Maura Kennedy. I book them as often as possible in MA. "I Wanna Be Maura Kennedy" is a delightful romp, well executed, with great humor. Both Mike & Maura were great sports. I'm glad I enjoyed it with my morning coffee. Warmly, Mike "Mad Dog" Landers P.S. I wanna be Maura Kennedy, Too." --Michael R. Landers, Plymouth musician and concert producer. "Mike is one of best songwriters around, and he is also the host of the tremendous Roslindale Open Mike." --Dan Cloutier, singer-songwriter and host of the Amazing Things open mike. "Mike Delaney is the Leon Russell of the 21st century"--Barry Spiro, singer-songwriter. "EVEN though Mike's new CD "Boston Harbor" came to me $1.21 postage due, I figured it was worth a buck and a quarter (keep the change) to see what he was up to this time around. Thanks to the liner notes I now know what Mike's day job is, but you never ask these questions of other musicians when you see them. You just listen to the music (he's a fine and prolific songwriter) and take it from there. Mike is always someone I'm interested to hear. With this disk I continue to be. I've got three more words for Mike: "Weigh the package".--David Roth, www.davidrothmusic.com, fantastic singer, songwriter, performer, and inspirational humanitarian. "When Mike Delaney is not busy making the Boston Harbor safe for all the various gilled and finned creatures and swimmers and making sure the water that comes to your house has nothing other than water in it he is busy being a pretty darn good songwriter and performer. 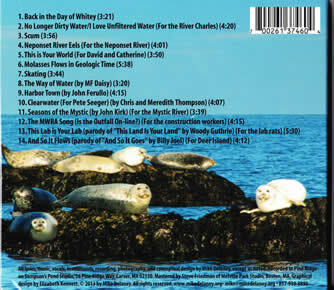 Mike's new CD "BOSTON HARBOR: No longer dirty water" is my favorite of his so far. Some of the songs are very touching and some are very funny. Mike is a great parody writer, but his serious songs are great as well. Mike also covers some nice songs on this CD. I am particularly fond of #9. Go out and buy this recording. " -- John Ferullo, writer of "Harbor Town". "I got a kick out of your CD very clever. You’ll have to some sort of MWRA/DCR performance. Maybe on top of the digesters with your band kind of like the Beatles Get Back roof top performance.--Bill Pula, Superintendent of the Quabbin Reservoir for the Department of Conservation and Recreation. "I finally had an opportunity to listen to your music on the CD that you left at my office. Thanks for thinking of me. I never knew you had "chops". Nice sound and interesting lyrics. And I'd be remiss not to mention the powder blue tux.......reminiscent of my high school senior prom. It's good to know that there are other renaissance guys out there."--Dr. Mark Nankin, Mike's dentist. "Charlie Button sent me a copy of Boston Harbor: No Longer Dirty Water. WOW! I got such a huge kick out of it. Great job—very clever and a lot of fun. I think “Scum” might be my favorite. All the songs brought back so many great memories. We all changed the course of history, didn’t we? I still use the lessons from my days at MWRA every day." --Elisa Speranza, formerly of MWRA. "Hey Mike thanks for sending the new cd along. Funny! You're a very clever writer, as well as a fine player, and your heart is not only in the right place, it's in the right time, too. We need you!" --Bennett Hammond, distinguished musician, songwriter, and philosopher. Used without permission. "The tunes are great fun to listen to...I especially enjoyed the cover track (it's so Mike Delaney!) the Eels song (I remember seeing thousands of them crawl up the Lawrence Dam in one great wriggling collumn-like mass when I was a kid), and the MF Daisy cover song, which reminds me (conceptually) of Harry Nilsson's "Think About Your Troubles" which may actually make a good Mike Delaney cover." --Elizabeth Kennett, musician, songwriter, and graphic artist. Mike's CD "Evening News" has been characterized by bardicfox of Columbus, Ohio on ebay as "Filk"!!! "More agreeable than an electrical buzz from a bad transformer!” --Davis Sweet, the world’s foremost authority. Mike's CD, "Hey, Java Jo's" is a tribute to Ana Eder-Mulhane, the long-time host of Java Jo's and all the performers over the years. You can get more info on his CD page. "1-800-CONFESS", "Evening News", and "A Little Sun; A Little Rain, are, of course, still available. Subscribe to the Mike Delaney newsletter to receive occasional emails on Mike's gigs and other news by emailing Mike at mike@mikedelaney.org. Mike Delaney is a Boston-area singer-songwriter and part of the music group "New England Weather" (www.neweather.com). He has been performing around New England for over ten years, including three times at the Boston Folk Festival. He has opened for Kevin So, David Roth, Les Sampou, Richard Berman, Dave Crossland, Terry Kitchen and Michael Troy. With others he has opened for Chris and Meredith Thompson, Marc Douglas Berardo, Ferron and Terence Martin. 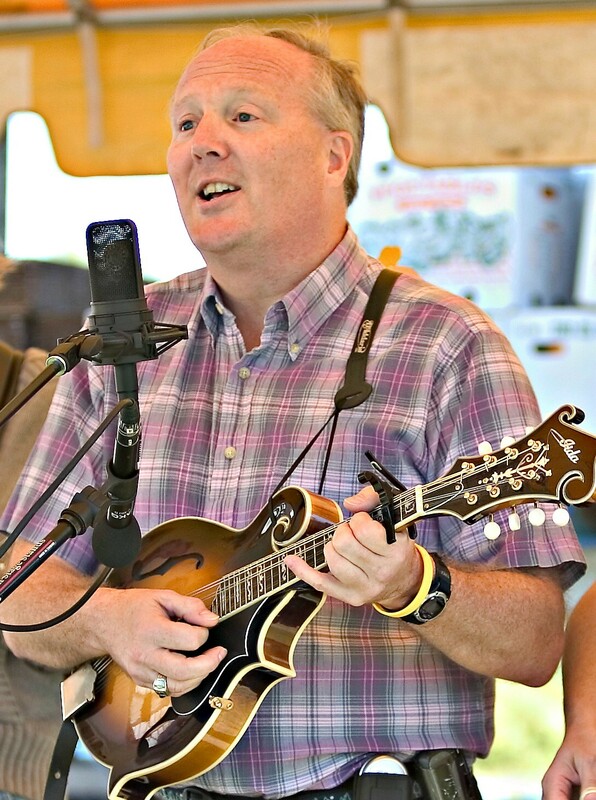 He has been fortunate to play mandolin, guitar, or sing harmony at concerts, coffeehouses, festivals, camps, and open mikes with a number of people, including Guy Davis, Kate Campbell, Bennett Hammond, John Kirk, Mary Flower, Patti DeRosa, Beth DeSombre, and many others. 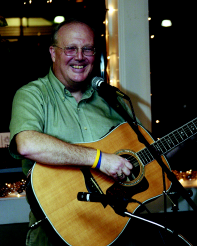 Mike's humorous original songs and parodies cover a wide range of topics from himself ("The Hunk" and "Mando Tango") to the entire country ("If We Only Had a Brain"). In between are excursions into the world of natural science ("Tofu, the Vegan Killer Whale"), literature ("Daddy, Who's Mark Twain? "), automated phone systems ("1-800-CONFESS"), women's health ("Mammogram, M'am? "), sports ("Red Sox Dream"), the oxymoronic business of folk music ("I'm changing my name to DOT.COM" and "The Naked Open Mic"), parts of the human anatomy ("Colonoscopy", "Bare Midriff"), and, of course, his raging ego ("It Is, In Fact, All About Me"). He has been deemed an "accomplished amateur" by Marilyn Rae Beyer, the music director of WUMB, Boston Folk Radio, and Tom Paxton commented that at least one of his songs was "not bad". Anne Hills called the song 1-800-CONFESS "brilliant"! 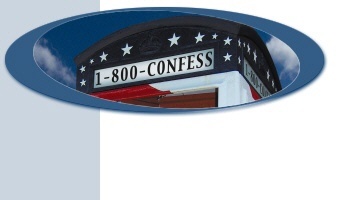 Mike's debut CD "1-800-CONFESS" was released inn 2006. His second CD, with New England Weather, was released in 2007. 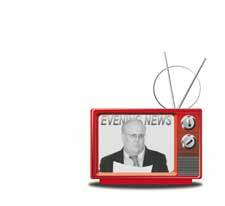 "Evening News" was released in 2008. 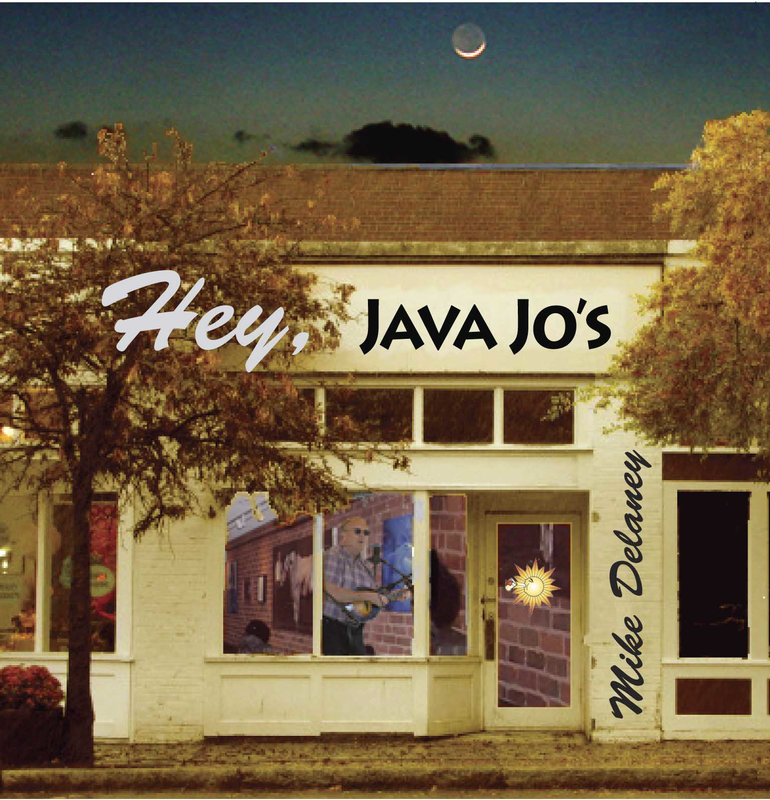 "Hey, Java Jo's" was released in 2010. His latest CD, "Boston Harbor: No Longer Dirty Water" was released in 2013. 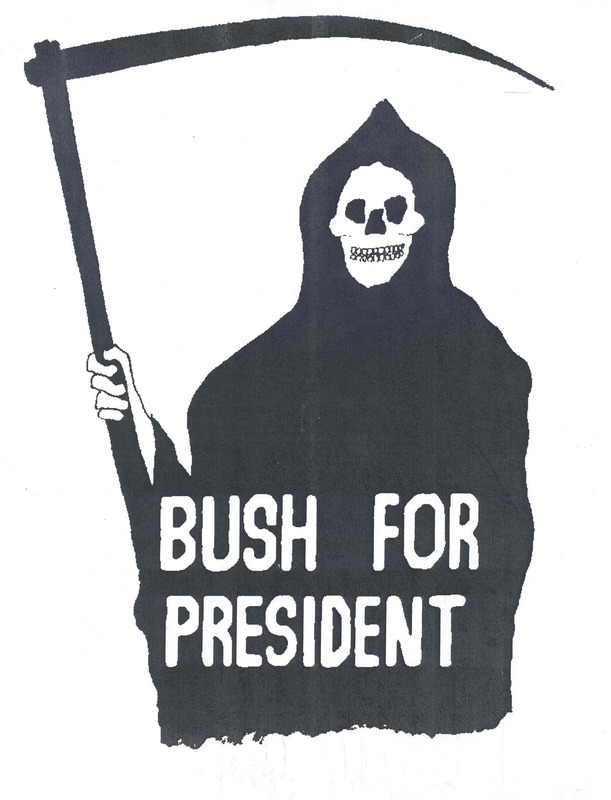 His song "Peace Through War" has been number 1 on Neil Young's "Living With War Today" song compilation for several weeks and in the top 10 for a number of weeks. He eco-bluegrass (green grass?) song, "Trash This Planet" was included on the "Step It Up 2007" web page (www.stepitup2007.org). "Low Carb" was regarded as one of the "best new climate songs" by Alex Smith of Radio Ecoshock (www.ecoshock.org) and "Colonoscopy" was played on the The Dr. Demento show. Mike's old news has been moved to his BLOG page.